Hand-sewn green, white and red satin ribbon onto period buckram backing. 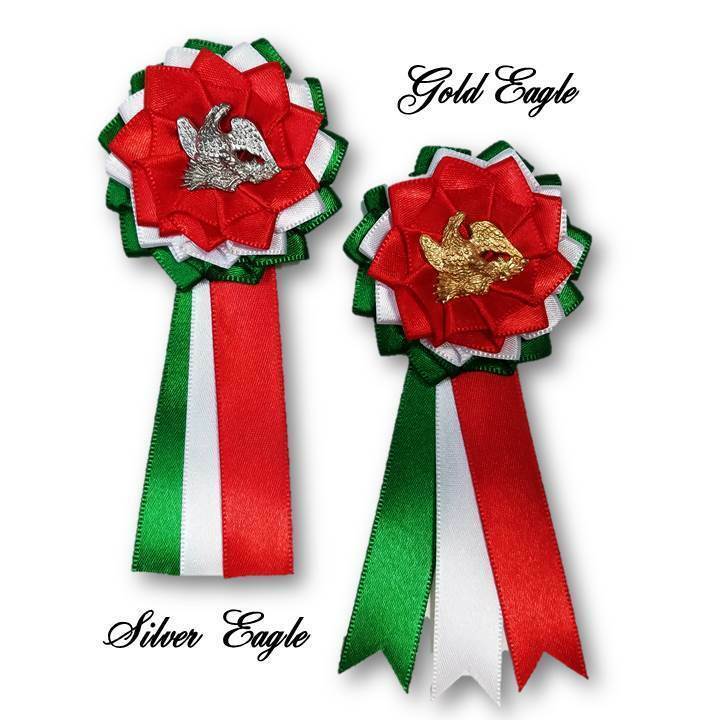 Choose a gold or silver eagle to grace the middle. Sterling silver pin back. Approximately 2" (5 cm) across rosette. Streamers are approximately 2.5" (6 cm) long. Pin on back is silver-plated and 1" (2.5 cm) wide. On October 13, 1847, the officers of the United States Army occupying Mexico City formed an officers club for their entertainment. The club continues to this day with descendents of the original officers being eligible for membership. Famous members of the club include several presidents as well as many of the leading officers in the Civil War.